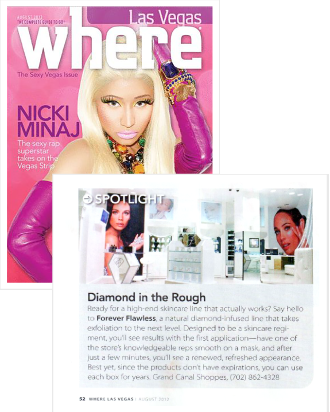 Forever Flawless – Diamond Infused Skin Care is making a splash! Check out what the leading magazines, beauty editors, bloggers, and popular celebrities are saying about our brand , products, and our commitment to flawless skincare. Harper’s Bazzar quotes Dr Sachin Dhawan, senior dermatology consultant from the Fortis Memorial Research Institute, who explains how diamond infused products work. The magazine highlights the incredible effect the Diamond Infused 24k Gold Serum has on improving your skin’s elasticity. 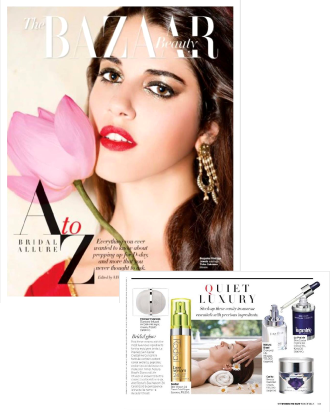 Harper’s Bazzar shares with the pickiest of readers: brides, what the must- have products with the most luxurious ingredients are. The Diamond Infused Hydra-PM Night Cream by Forever Flawless is featured at the very top as the essential prerequisite for youthful glow. Marie Claire HK features a detailed article about the Black Diamond age-defying Collection and the exquisite Platinum Diamond Collection by Forever Flawless, formulated with a proprietary peptide complex of select lifting and firming ingredients, and extra fine natural diamond powder. 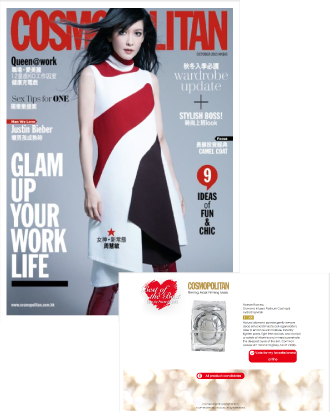 The international fashion magazine Cosmopolitan features Forever Flawless products to introduce one of the most intensive anti-aging treatments on the global skincare arena to rejuvenate and hydrate your skin, so you can be your most beautiful and confident self. OK! 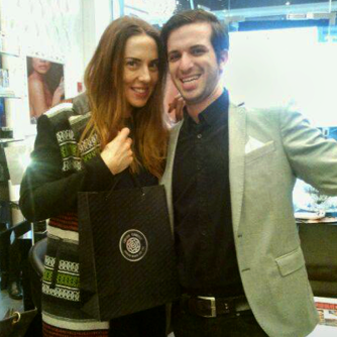 magazine covers the star-studded event, attended by British celebrities like Lizzie Cundy and Sian Welby. 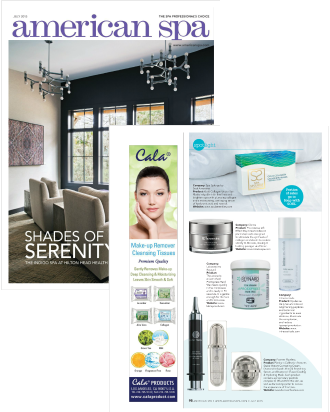 The publication also features the deluxe collagen boosting Diamond Infused Collagen Serum and the reversing premature aging Diamond Infused Eye Cream by Forever Flawless. The American Spa magazine shares with the American spa-goer three superb products from the deluxe Platinum Diamond Collection by Forever Flawless: an entire line enriched with a proprietary peptide complex with clinically proven lifting and firming properties. 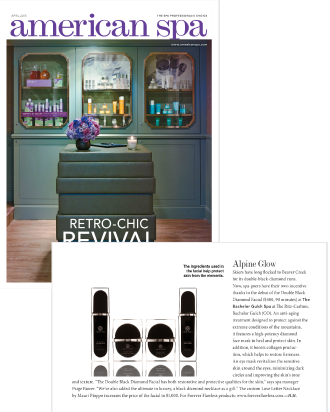 The American Spa magazine introduces one of the hottest, top-line spa treatment trends: an anti-aging treatment designed especially for skiers. 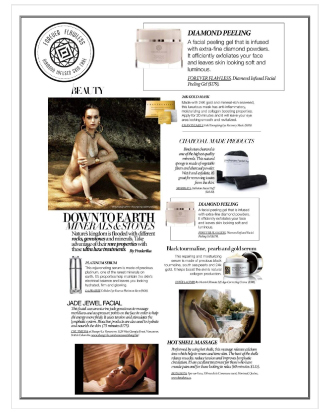 The feature explores how the ingredients in the Black Diamond products protect the skin from the elements. Where Las Vegas magazine features an article about the age-defying properties of Forever Flawless products, and they do not forget to mention the fact that Forever Flawless products do not have an expiration date, because diamonds are forever. 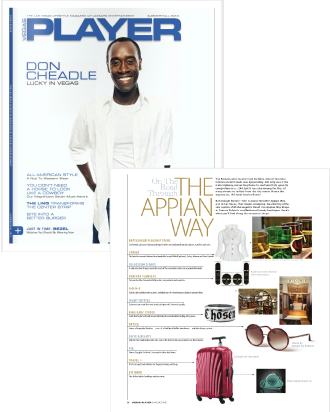 Vegas Player magazine shares with their readers where they can find the ultimate beauty gem in the crown of Las Vegas: in the Appian Way Shops at Caesars Palace. “Put your best face forward” with Forever Flawless. 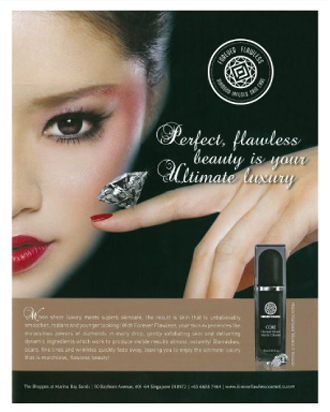 Dress to Kill calls the Diamond Infused Facial Peeling Gel by Forever Flawless an “ultra luxe treatment”. The sine qua non of soft and luminous skin, this gel is quoted as the ultimate product for removing pore-clogging residue. 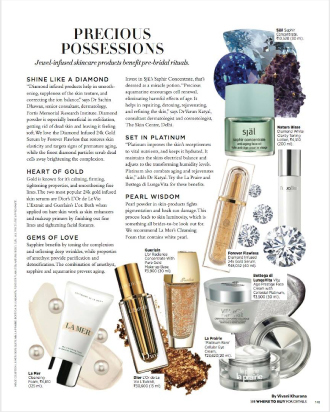 The Shoppes at Marina Bay Sands dedicates a feature in their magazine to the new and revolutionary diamond infused Forever Flawless anti-aging series. 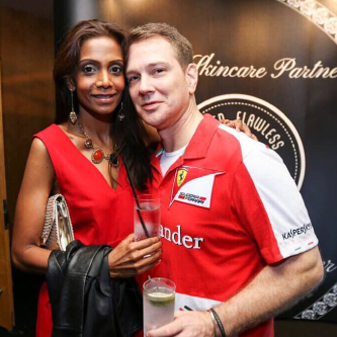 The article focuses on the numerous beneficial effects of using Forever Flawless products on a regular basis. 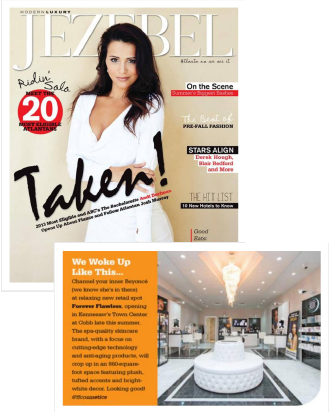 Jezebel displays an almost full page image of the high-end 860-square-foot space featuring plush, tufted accents and bright white decor. The announcement focuses on the spa-quality skincare, cutting-edge technology, and anti-aging products the retail spot will offer. 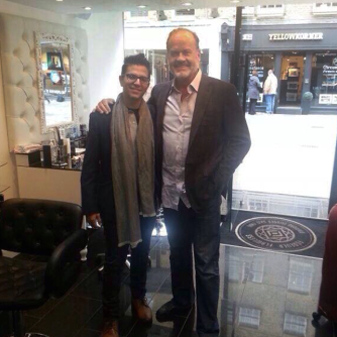 who indulge in diamond microdermabrasion treatments based on spa diamond tip equipment. 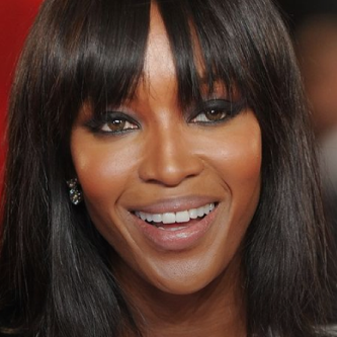 * The above celebrities have been documented for having diamond and other gem facial treatments, not necessarily Forever Flawless. Forbes Riley and Forbes Living feature the luxurious, reversing premature aging Forever Flawless Diamond Infused skincare line: a girl’s best friend, and “wrinkles’ worst nightmare”. Diamond Anti-Aging Eye Collection by Forever Flawless. 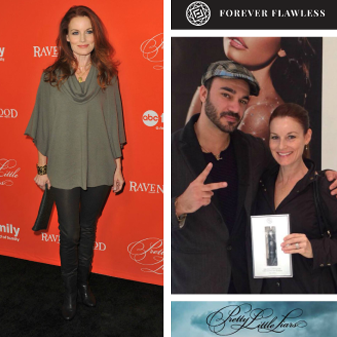 As Seen on TV invites Nyssa Green: the Emmy Award-winning makeup artist of the stars voted best makeup artist in Atlanta, GA, to talk about Forever Flawless, the brand she calls “her family”. Jessica Dauler and Low Country Live spotlight the latest advancements in skincare & the hottest at-home anti-aging products: the revitalizing treatment that each Forever Flawless Diamond Infused skincare collection affords. Coffee with America aims to keep you up to date with the latest beauty trends, and their guest Jessica Dauler partakes in the effort by featuring the exquisite age-defying Blue Diamond Eye Collection.